The best shoes for heel pain and heel problems are the pair that supports your whole foot. Unfortunately, because everyone is different, I can’t give you the exact advice on which pair of shoes to buy, but I can give you a few pointers on what to look out for and also recommend a good brand that most people seem to think helps them most. If you are suffering from heel pains when you walk, first thing in the morning or after standing for a long period of time, there are a few reasons why this might happen. Plantar Fasciitis, heel spurs or stone bruises are just some of the issues that might be causing the pain. Apart from visiting your podiatrist, making sure you rest and exercise correctly to help reduce pain in your feet, the best and forward-thinking solution is to make sure you have a good pair of shoes that support your feet properly. What the shoe must have if you are looking to reduce heel pain. Make sure the shoe does not twist at the heel. Cheaper shoes are made from cheaper materials – fact – but they are also not designed as well and provide more flexibility than you need. A shoe where the heel area can be twisted will not provide enough sturdy support for your foot and heel and may lead to you not walking correctly, therefore increasing heel pain. The ideal shoe for most foot problems should have a firm heel, minimal midsole torquing (where you are unable to bend or twist the midsole very much) and should have more flex at the toe end. Ideally, the shoe should not be of the slip-on variety. Another key thing to look for when choosing a shoe to reduce heel pain is that it has “good closure”, meaning that you can use the laces to ensure a tight fit around your foot. The more chance that the shoe has to move around your foot, the more possibility there will be that your foot will not be held in the right position for walking. I must admit, I prefer slip-on shoes for working in the office, but after a few months, the sides do stretch out and I can feel my foot moving sideways. Also, when I was using orthotics in the slip-ons, they never stayed in the same place and were pretty much useless. If you are a woman who suffers from heel pain, try to avoid wearing high heels as much as you can. These sorts of shoes put immense pressure on the balls of your feet, tightening the calf muscles and plantar fascia tissue, which can lead to heel pain the next day. I know that you all love high heels – but they are not very good for your feet – (although some may argue against this). If you have to wear them, try to use gel pads to reduce the pressure on the balls of your feet and take them off as soon as you can. Check out this video from BuzzFeedBlue pointing out the damage high heels can do to your feet! If you think that high heels are bad, then you might think that using flat shoes would be the answer to this problem – but “flatties” are also bad for your heels. Flat shoes provide not support to the arch of your foot and if the shoes are flat, they also add additional strain to your plantar fascia tissue. This is because your foot has to work extra hard to lift itself off of the ground when you walk. Having an injured plantar fascia tissue can lead to heel spurs, which are very painful and may result in you having surgery to have them removed or reduced. Which shoe brands are recommended? So, now that we have looked at some of the bad aspects of shoes and what you should avoid, which brands are recommended for people with heel pain? By far the most popular brand for sufferers of most foot pain problems is Orthaheel (also now known as Vionic). They have many different styles and types of shoes (from slippers to trainers) and they are fully backed and designed by a team of doctors and podiatrists, so you know they are going to be good quality. If you are looking for a pair of slippers for your heel pain, check out our article here for more information. The best selling womens shoe by Vionic is the Brisk Dash Mary Jane, which comes with built in arch support and a “removable biomechanical orthotic footbed” – or an insole to you and me. They get a good set of reviews and come in a range of different colours too, which I know is something women will see as important. 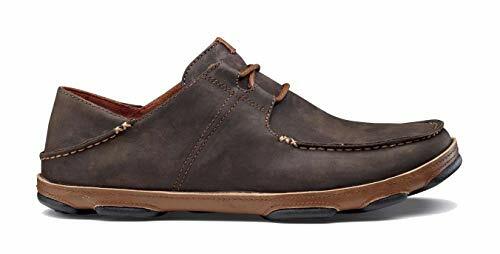 For men, the Vionic Orthaheel Walker is a great trainer style shoe that is made from leather and provides all of the support your foot will need. The Walker also comes in a few different colours, so you might get away with wearing the black pair at the office too. Can be worn as a shoe or a slide. OluKai is also a great brand to look out for and they make good support shoes for Men and Women in a range of styles. I like their suede style shoes, as they look better than a trainer, but I also like the look of their flip flops with good arch support too, although I think my feet might hurt a bit after wearing them for too long. If you are not looking to buy a new pair of shoes to help treat your heel pain, then there are other options available to you too. There is a range of foot care products, from companies such as Dr Scholl’s that will help reduce your heel pain. These range from arch supports to full foot orthotics, so there will definitely be something you can try without spending too much money. Their range of orthotics with gel pads built in are a popular product on Amazon, so perhaps look at those first. Shoes are the cause – and the answer! Shoes that fit badly and offer little support or cushioning can cause lots of problems with your feet – especially if you are also using bad shoes for running or exercise. The worst type of shoe you could choose would be ones that offer little support around the heel and forefoot areas. This can lead to extra strain and stress on the plantar fascia tissue, causing pain that is hard to remedy and awkward to treat. Too much stress and pressure on the plantar fascia area causes inflammation of the tissue and tearing can occur. This leads to plantar fasciitis, which will most commonly present itself as a stabbing pain in the heel, usually first thing in the morning. 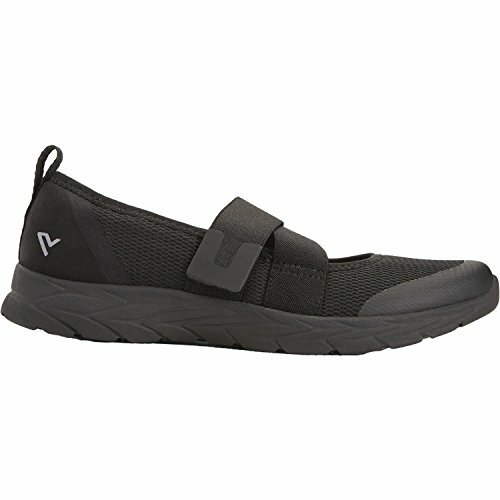 Can I buy shoes made to treat heel pain and Plantar Fasciitis? There are plantar fasciitis shoes available that are specially designed to provide the support needed to reduce the risk of this injury occurring, but they can also be worn to help reduce the pain too. These special types of footwear come with built-in supports and cushioned areas that will help fix the issues causing the plantar fasciitis. Another type of shoe for plantar fasciitis treatment, especially for people who may have problems associated with their gait or the way they walk is a motion-controlled shoe. These shoes are not pretty but are designed to be less flexible than a normal shoe, with thicker soles and dual-density areas that help correct the way a person walks. You might also see these types of shoes referred to as Straight Last models, where the design allows for maximum contact and stability when walking. If your medical needs are not so pronounced, you could require a shoe that offers a slightly more flexible sole than the motion-controlled type. These are usually called stability shoes and are designed to have a semi-curved last, meaning that they offer good support and stability when walking, but are also flexible enough not to be too bulky and solid. Best shoes for high arches. If you have been diagnosed as having heel pain due to having high arches in your feet, the best sort of shoe for you is on that offers flexibility and has extra cushioning. The area around the middle of the shoe, known as the mid-sole, should be softer than the rest of the sole, allowing for additional cushioning in the area where it is needed. These types of shoes are also designed on a semi or curved last. If you have been diagnosed as having “heel spurs” as opposed to just heel pain or plantar fasciitis, then you will need to investigate footwear that can specifically help with that problem. Because the spur is a small growth of bone which causes pain when you walk (as it presses on the flesh and tendons around it) jut having shoes that give extra arch support will not help you. Look for shoes that have gel heel support to help cushion your heel area when you walk. Alternatively, there are shoes and also gel heel cups that have a small area cut out to help reduce the pressure on your spur. Heel spurs might be the hardest of problems to cope with, unless you can find the right shoes or inserts. Are you running with sore heels? I have to admit that despite hobbling around when my plantar fasciitis flares up, I do still run over 20k a week. Providing I pay attention to stretching, icing and resting afterwards, the pain does not get too bad. Luckily, finding the best running shoes for sore heels is not too much of an issue. There are many shoes available that provide the perfect arch and heel support and don’t cost the earth either. Check out my other article where you can find our recommended running and workout shoes if you suffer from heel pain. Up to now, we have talked more about normal day shoes and perhaps running shoes, but what if you were looking for a walking shoe? Good walking shoes for heel pain sufferers can be hard to find, but I have a few tips that can help you get the right ones. The shoe must not have a high heel and you should check that the shoe is able to bend around the area where the ball of your foot is. You should also make sure that when you push downwards to the toe, that the heel of the walking shoe should lift upwards from the ground. Also, make sure that the shoe has adequate arch support and has good padding and cushioning at the heel and mid-sole. If possible, try to buy a shoe that bends with each step. You don’t want to have plantar fasciitis shoes that are too rigid and inflexible. Getting the right balance is important. Do children need special shoes for heel pain? Looking after your kids’ feet is a very important job as a parent and definitely something you want to be sure you are doing right. After all, you don’t want your child to have issues with their feet when they are older. Everybody knows how important a role footwear plays and also protecting you and your baby feet from the elements. Different countries and also cultures wear different types of baby shoes, as part of his/her tradition and based on the style and costs included. In western nations, style seems to be more essential than ease and comfort, especially for the more youthful age groups and it’s quite painful to see this trait continue for the last couple of decades. When do I need to worry about my kids’ shoes? We’ve to teach kids from an early age, the most important role that shoes play and that you’re carrying your entire body-weight on your feet. Made to measure footwear should be encouraged from an early age and never to be concerned along with the most recent style and looking cool and much more about feeling more comfortable. Choosing good quality baby shoes will make you feel much better and more confident with yourself and much better position because there’ll be minimum circulation issues and more than likely to know corns and also calluses. What to look for in shoes to avoid child foot and heel pain? There are some basic components to find good quality shoes. If we don’t feel more comfortable with our feet or the way we walk after that, it’s highly most likely that we’ll become irritable because of the uncomfortable and model of the shoes and that may lead to some other symptoms and you’ll suffer in later life. Price does play a role in what we purchase, but substituting ease and comfort to save some cash isn’t really a wise saving in the long run. This excellent article from The Society of Chiropodists & Podiatrists advises exactly what points to look for when choosing kids shoes. The key take away from this article is that, unfortunately, there are no magic bullet shoes to cure your heel pain there and then. Even the most expensive shoes for heel pain do not fix things immediately. Rest, ice, massage and the right exercise all play a role in helping you recover from this condition, but getting good quality, properly fitting shoes with the right level of support for your whole foot (don’t just concentrate on your heel) is key. As always, I have to remind you that I am not a doctor or podiatrist, just a sufferer of plantar fasciitis who wants to try to help other people. Please see your doctor if any of your symptoms persist.